Interviews: Alex Robb, Robert Laurie, Kirk Tousaw, and Dana Larsen. Victoria BC currently has 28 dispensaries. Of these, 8 are licensed, and 5 more are in process. 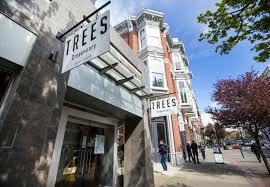 Trees Dispensary in Victoria BC is a good example of a BC dispensary, soon to enter the legal system. Established in 2014, Trees was the first in Victoria to acquire a City License. It has seven locations on Vancouver Island, with a large head office in Rock Bay, Victoria’s industrial district. It has to be said that anyone who has acquired a City license for a dispensary in BC has already been through the wringer. Each has been required to apply for re-zoning. That process, which included the cost of a public hearing, came with a price tag of $7,500. For new architectural blueprints, also necessary to rezoning, there was an additional fee of $6,000. There is also an annual business license fee, outlandish when compared to licenses for other businesses: $5,000 annually in Victoria; and a staggering $30,000 annually in Vancouver. Beyond a few licenses, this first round of semi-sanctioning yielded mixed results. Some could not afford a license, and were bought out by larger players: veteran activist David Malmo-Levine had to sell his Vancouver dispensary, Stressed and Depressed; Natural Way in Victoria BC, sold its business to Trees. Some are continuing to run without a license, and will likely carry on until they are shut down. More than a few have closed their doors, some voluntarily, some not. So what happens next for those who want to move on to provincial licensing? This much is known. 1. Each dispensary will need to provide further blueprints, showing detailed floor plans. Read this as: Further Fees. 2. Each will need to detail its security measures, though what exactly is still unclear. 3. Each will need to go through a second round of inspections; fire, building, electrical, security, and whatever else the province demands—More Fees. 4. Prior to inspections, each dispensary will need to empty its shelves, fridges, counters, and storage facilities of all cannabis; and remain that way, closed for business, for a time period, the length of which is still to be announced. Staff will have to be laid off. Inventory will need to disappear. If you live in a place that has dispensaries, save your pennies for upcoming ‘end of the old world’ sales. 5. If or when a dispensary reopens—all depends on whether it will have exhausted its resources in the meantime—it will carry only what can be purchased from a single, central warehouse, prepackaged in Health Canada’s warning-riddled idea of how to sell dried flowers. That is, of course, providing that the new warehouse system, as yet untried, will be able to deliver in a timely fashion. Post legalization, a dispensary will no longer call itself ‘dispensary,’ as such a name could suggest that the flowers have medicinal value. Happily, the actual effects are beyond government control, so health benefits will remain. To sum up this silly list, dispensary hopefuls will need to endure building and blueprint frenzy, inspection mania, financial bloodletting, starvation, and ritual death, followed by rebirth, baptism and renaming in the style of Bill C-45. 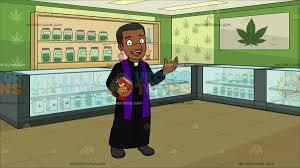 It’s a wonder that the province hasn’t engaged priests to oversee the transformation. Alex Robb, Trees’ general manager, hopes that this process will be speedy and painless. Ideally, a dispensary would be notified of inspection dates a few days before opening day, and inspections would follow one another in quick succession. Prior to these, it could hold a fire sale, drain the place, and reopen. But in truth, how this progression unfolds depends on the Province’s sympathies, and on how well it understands the dispensaries’ needs. If it drags on for weeks, with overhead costs and new expenses mounting, ritual death could be followed by the real thing; I asked Alex, on a scale of one to ten, how anxious he felt. He said “five”. The federal Liberals have stated that they will, for the present, leave the medical cannabis program as it is. Sadly, they appear to have little sense of how the new system will affect patients. Cannabis dispensaries carry a wide range of products not available through Licensed Producers, the only legal source today. These include edibles; capsules filled with dried cannabis or infused oil with an over-3% concentration of THC; tinctures; a variety of cannabis concentrates; suppositories; and topical creams. What will happen to patients who have come to rely on their services? That is the question posed by three lawyers, Kirk Tousaw, Rob Laurie, and Dean Davison, preparing a charter challenge, to be heard by Justice Christopher E. Hinkson in the BC Supreme Court, over three weeks this coming September 2018. The challenge is on behalf of 67 medical dispensaries in Vancouver. If the challenge is successful (it could well wind up in the Supreme Court) it would affect medical dispensaries and patients across the country. As with all charter challenges, the province and the federal government will be present as interveners. One issue to be reviewed is distance. When the City of Vancouver proposed to license cannabis dispensaries, it set a limit—300 metres—to how far they could be from one other, from schools and from child care centres. If followed to the letter, that regulation would have eliminated 90% of the existing businesses. As dispensaries require a City license to be eligible for a Provincial one, this matter is crucial to their survival. Since receiving word of the upcoming charter challenge, Vancouver has been leaving the ‘non-compliant’ dispensaries in peace, if treading water can be considered peaceful. But 300-metres turns out to be an arbitrary number, borrowed by the City of Vancouver from a practice in Washington State. The number represents a similar figure used for sentencing in American drug enforcement law. When, in the US, persons are charged with trafficking in drugs, the sentence they receive is harsher if they have been seen selling within 300 metres of a school, day care centre, or community centre. It may be sensible for an American State, acting in defiance of federal prohibition, to adopt such a rule. Doing something similar does not, however, as Vancouver City Council has argued, represent ‘best practices’, at least not in any sense meaningful to cannabis retailers. But the forthcoming constitutional challenge goes far beyond the problem of distance. Canadian patients have an established, constitutional right to cannabis medicines. Tousaw, Laurie and Davison will argue that the City of Vancouver acted ultra vires (beyond its legal jurisdiction) when it moved to shut down dispensaries, as this move infringed on the rights of patients to obtain their medicines. 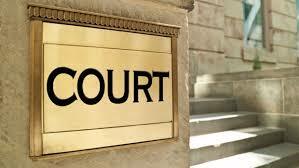 For procedural reasons, we cannot be privy to the arguments to be presented in court. But the upcoming case raises central questions. As we will recall, in June 2015, in R v. Smith, the Supreme Court of Canada accorded Canadians the right to cannabis extracts. In response, the Harper Conservatives, then in power, responded by limiting Licensed Producers to dilute oil extracts—3% THC, not suited to adults. The new, impending challenge will need to address this limit. We would love it if the courts could deal definitively with the issue of concentrates and edibles, and the supply chain, and the licensing for such medicines. But alas, this is not the court’s role. The best we can hope for is a BC Supreme Court (or BC Court of Appeal, or Supreme Court of Canada) decision striking down the existing limitations, leaving them again for various levels of government to fix. The Myth of Sisyphus comes to mind. Analogies aside, this challenge will be the Canadian cannabis event to watch this coming fall, even more important, in my view, than Opening Day in October. If successful, it could bring a major shift in Canadian cannabis regulations, benefitting patients, medical dispensaries, and the industry as a whole. Cannabis Extracts 2 – Health Canada 1: A Win for Patients! Well written and on the mark. Thanks for the interesting read. 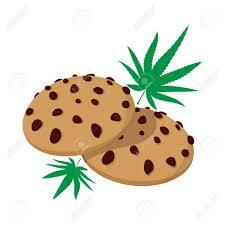 I like to get my weed online and use https://www.kushdispensary.ca/ – the quality is great and its very convenient.